After 17 people were killed in Parkland, parents and survivors mobilized. They called their movement Never Again. Then, it happened again. After the slaughter of 14 students and three adults in Parkland, Florida, on Valentine’s Day, parents demanded new laws and students lit up social media. They registered young voters and organized a massive rally called the March For Our Lives. They called their movement Never Again. Then it happened again — 94 days later. Eight students and two teachers were mowed down by a gunman at a high school in Santa Fe, Texas. And it happened again and again, in dribs and drabs, on street corners, in backyards and in homes: young people obliterated by gunfire. The 12-month period starting Feb. 14, 2018, saw nearly 1,200 lives snuffed out. That’s a Parkland every five days, enough victims to fill three ultra-wide Boeing 777s. The true number is certainly higher because no government agency keeps a real-time tally and funding for research is restricted by law. The Trace, an online nonprofit news organization that covers firearms issues, wanted to commemorate those lost lives. It assembled a team of more than 200 journalists — kids themselves — to research and write short portraits of every victim, 18 and under. On the anniversary of the Parkland massacre, The Trace is publishing those portraits. In conjunction, the Miami Herald and McClatchy are presenting a series of stories on the year in gun violence against children. When they weren’t taking cover from school shooters, young Americans died as a result of murder-suicides, jealous rages, indiscriminate drive-bys, targeted attacks and horrific preventable accidents. Several died in explosive video game disputes. One young man was killed when, according to a witness, a loose gun inside a box he was hauling discharged. A 10-year-old girl was gunned down while scampering toward an ice cream truck. A father shot his 6-year-old girl by accident while cleaning his gun. Older teens were more commonly victims, followed by small children, ages 2 and 3. Cities were deadlier than rural areas. Although the data collected didn’t include race and ethnicity, it is clear that most victims were minorities in communities awash in firearms. Most of the killings generated a headline or two before the names were lost amid the repetitive blur of violence. But their families and friends can’t forget. Calvin Harvey, a junior at Northeast High in Macon, Georgia, was cut down by a motorist who rolled past a summer cookout and let loose a spray of bullets. Tyran Carter died when multiple shots tore into the 17-year-old in a friend’s backyard in Wichita, Kansas. Jace Alexander, a toddler of 2 in Fresno, California, was killed while playing with a Sig Sauer pistol left on a bed. Zack Kempke, 14, was struck in the head by a target shooter’s stray bullet while his family drove down a dirt road through an aspen forest in northern Utah, gazing at the gorgeous autumn foliage. Amon Rice, 17, was cut down in a wild west-style shootout in South Carolina that involved seven guns and 58 shots fired. Small towns were not spared. Paxton Edwards, a 3-year-old with wispy blond hair like his mom, lived in a home on Ferris Drive in Price’s Corner, a tiny Delaware map dot. 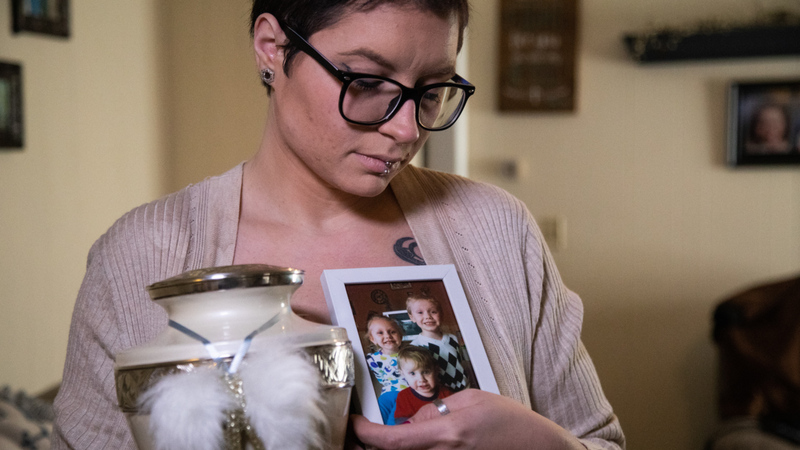 Paxton died in that modest house, shot by his father, who in quick succession also shot Paxton’s sister, Brinley, 4, his brother, Jacob, 6, their mom, Julie, and himself. All died. “It doesn’t really feel like it is really real, to be honest,” said Brian Covenko, the plumber who lives across the street. He makes a point not to look at the house. Covenko traded occasional text messages with Matthew Edwards and said he saw signs of strife beyond the normal grind of work and raising young children. Yet Edwards fit the general pattern that researchers have found of gunmen who commit what’s known as familicide. “They are mostly non-Hispanic white males — the male who is the father or stepfather of the children,” said Jacquelyn Campbell, a professor and domestic-violence researcher at the Johns Hopkins University School of Nursing in Baltimore. “The number one risk factor is prior violence against the female.” That prior violence often goes unreported. Zack Kempke and his family were enjoying the fall foliage in a Utah forest when a bullet fired at a target killed Zack. Paxton, Brinley and Jacob were among 91 children aged 18 and under killed in domestic murder-suicides in the 12 months after Parkland, most by parents. Some killings seemed to have no rational connection to the person shot. Jada Jones sat in a car in a driveway just outside Rock Hill, South Carolina, a city of 73,000, when drive-by gunfire apparently meant for others took her life at the age of 14. A month after he graduated from high school, bullets felled 18-year-old honor student Antonio Jones, shot in his sister’s car in Kansas City, Missouri, the killer’s motives unknown. 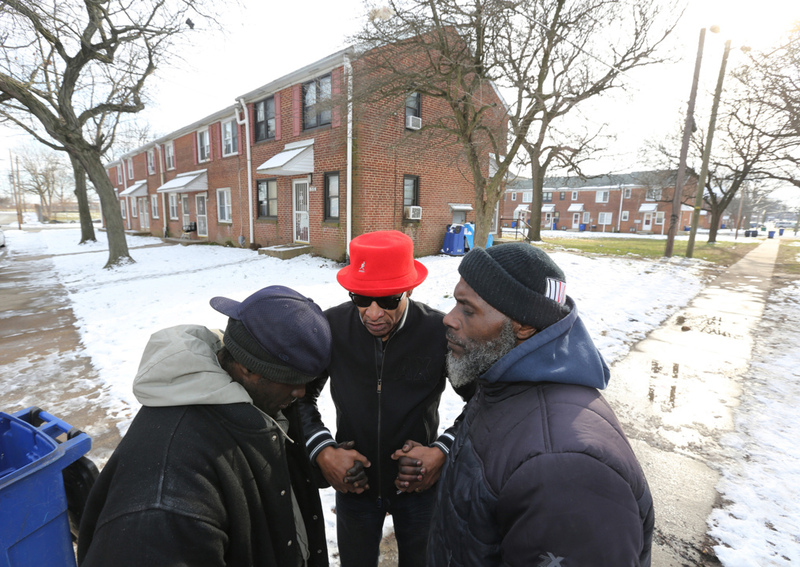 Each killing left grieving families, scarred communities and often unanswered questions. Mark Bryant owns and fires guns, but he doesn’t believe nearly 1,200 dead children is an unavoidable byproduct of the right to bear arms, enshrined in the Second Amendment to the Constitution. “That just has always frustrated me, and it goes back to the old saying, ‘With freedom comes responsibility,’ ” said Bryant. A retired computer systems analyst, Bryant started an online database, the Gun Violence Archive, five years ago to provide data, hoping it would lead the way to reasonable restrictions. The constantly updated archive tracks how many people are shot, how many are killed and their names and ages, how many are wounded, how many are teens, how many are younger, the number of defensive uses of firearms and the number of firearm accidents, fatal and otherwise. The work has convinced Bryant that there is room for compromise between the pro- and anti-gun forces on measures that will keep firearms out of the hands of irresponsible people. Paxton Edwards, with his mom, Julie, his sister, Brinley, and his brother, Jacob. All were shot and killed by their father, who then committed suicide. When web traffic spikes on the Gun Violence Archive website, it means one of two things: a mass shooting or the death of children. Or both. Traffic spiked 14-fold after Parkland. Calvin Harvey, a junior in high school, was killed when someone opened fire on a cookout in Macon, Georgia. With no federal data to rely on, the Gun Violence Archive was the primary source for the student reporters working under the supervision of The Trace. If not an outright ban on the researching of gun violence as a health issue, it has certainly discouraged it. “If this was an epidemic or a polio-like illness and you documented these kinds of fatalities, don’t you think there would be a hue and cry that the CDC is not doing everything it could to stop this epidemic?” asked Mark Rosenberg. He was the last person at the CDC to freely research gun violence in the late 1990s as director of the CDC’s National Center for Injury Prevention and Control and now a leading advocate of trying to restart it. But there is no sign that will happen. Linda Degutis served as the director of the same center from 2010 to 2014. She saw little movement despite an executive order from President Barack Obama to do more research after the Newtown, Connecticut, rampage at Sandy Hook Elementary School that killed 20 kids and six staff members in December 2012. That’s in part because government agencies fear retribution from congressional appropriators if they buck the NRA. A spokeswoman for the NRA’s Institute for Legislative Action said the group is fine with research but felt in the 1990s it was slanted. There was no breakdown on weapons used in the homicides, nor methods of suicide. The FBI’s annual crime statistics report for 2017 put all homicides, regardless of age, at 16,617 in the United States that year, a hair lower than the 16,651 homicides in 2016. At the state level, too, there are restrictions on data collection and sharing — including by physicians. State-based “Docs vs. Glocks” laws, pioneered in Florida and challenged in court on First Amendment grounds, have prohibited doctors from asking patients whether they have firearms in the home. Familicide murders are an example of the need for research. That most recent 2016 data set at the CDC shows 337 cases of family murder-suicides involving a firearm. But it doesn’t show how many victims were toddlers, or older teens killed trying to protect their mother from an abusive husband. “It absolutely matters,” said Jacquelyn Campbell, the domestic violence researcher. In Parkland’s immediate aftermath, state- and locally based gun-safety efforts were galvanized in a way that didn’t occur after previous shootings. “Parkland is the one time where there really has been motion, in part because it became clear that it did not have to occur, that there were policies in place in other states that could have prevented this, and we’ve seen motion,” said Garen Wintemute, an emergency room doctor and professor at the University of California-Davis. In some states — including firearm-friendly Florida — legislatures lifted the gun-ownership minimum age to 21, at least for certain models. In others, they boosted background checks, and in still others, they allowed temporary court orders designed to prevent at-risk individuals from accessing firearms, called red-flag laws. Research by the Giffords Law Center, a San Francisco-based nonprofit, found that eight states legalized Extreme Risk Protection Orders after Parkland: Delaware, Florida, Illinois, Massachusetts, Maryland, New Jersey, Rhode Island and Vermont. These protection orders allow family members or law enforcement to ask a court to temporarily restrict someone’s access to guns if the person is deemed a risk to themselves or others. Parkland shooter Nikolas Cruz fit that profile. “We’re not anti-gun, not anti-Second Amendment. We are for the prevention of gun violence,” said Sarah Stowens, echoing the Gun Violence Archive’s Bryant. She is head of the Delaware chapter of Moms Demand Action, a group that helped push through the new law in several states. That national group is patterned after Mothers Against Drunk Driving. “Parkland was another moment that galvanized people who were sick and tired of being sick and tired,” Stowens said of changes in Delaware, which also now restricts bump stocks, add-on devices that allow semiautomatic weapons to fire faster. Bump stocks were used by Stephen Paddock in October 2017 when he fired down from his hotel room on a Las Vegas concert crowd, killing 58 and wounding 851. Eight states moved to ban bump stocks and similar devices, the Giffords center said. Only New Jersey had done so before Parkland. There were other efforts on a smaller scale. The Broward County chapter of the League of Women Voters began distributing free gun locks in and around Fort Lauderdale and plans to expand the effort to Miami-Dade and Palm Beach counties. That could have saved the life of Jace Alexander, the Fresno 2-year-old who found the firearm on the bed. Jace Alexander, 2, of Fresno, California, found a loaded gun that an adult left on the bed. The toddler fired it, accidentally ending his life. In the first three months in Broward County, the league and its 100 partners distributed 6,500 free gun locks to churches, police stations, doctor offices, mental health providers and daycare centers. It is partnering with Moms Demand Action, the Florida Initiative for Suicide Prevention, pediatricians and a host of advocacy groups. If grass-roots change has percolated at the local and state level, the same is not true in Washington. Despite years of mass shootings — in Thousand Oaks, California, and Aurora, Colorado; at the Washington Navy Yard; and in Newtown, Orlando, Las Vegas, Parkland, Santa Fe and Pittsburgh — the House of Representatives had not held hearings specifically on the issue of gun violence. As a result of the wave election that flipped control of the House, that drought ended last week. The House Judiciary Committee on Feb. 6 held its first hearing on gun-violence prevention. “The epidemic of gun violence in this country is a national crisis and an international embarrassment,” Chairman Jerrold Nadler, D-N.Y., said in opening the Feb. 6 session. At a hearing early this month on preventing gun violence, the first in years in the U.S. House of Representatives, Florida Republican Rep. Matt Gaetz, right, tried to steer the conversation toward advocating for President Donald Trump’s proposed border wall. When Manuel Oliver, left, and Fred Guttenberg, parents of students killed in Parkland, raised their voices in protest, Gaetz sought to have them ejected from the hearing. Florida Rep. Matt Gaetz, an ally of President Donald Trump, soon showed how contentious the debate figures to become. A Panhandle Republican, Gaetz tried to turn the gun hearing into a discussion of illegal immigration and the need for a border wall. Fred Guttenberg and Manuel Oliver, parents of children killed in Parkland, raised their voices in protest. Gaetz tried to have them tossed from the room. A week later, two background-check bills passed the panel, advancing to a House floor vote. Although the Republican-held Senate will likely block any new restrictions, gun safety is back in the conversation. Sen. Kamala Harris, the former prosecutor and California Democrat running for president, said at a town hall last month that Second Amendment absolutists should be forced to confront the reality of gun violence, as manifested by mass shootings like Parkland and Newtown. Caitlin Ostroff in Miami contributed to this story. Tyran Carter was shot in a friend’s backyard in Wichita, Kansas. Doris Dorsey was known as Lil’ Mom.